Technically impressive and visually appealing: These characteristics have made the GLE series one of Europe’s most popular loudspeakers. 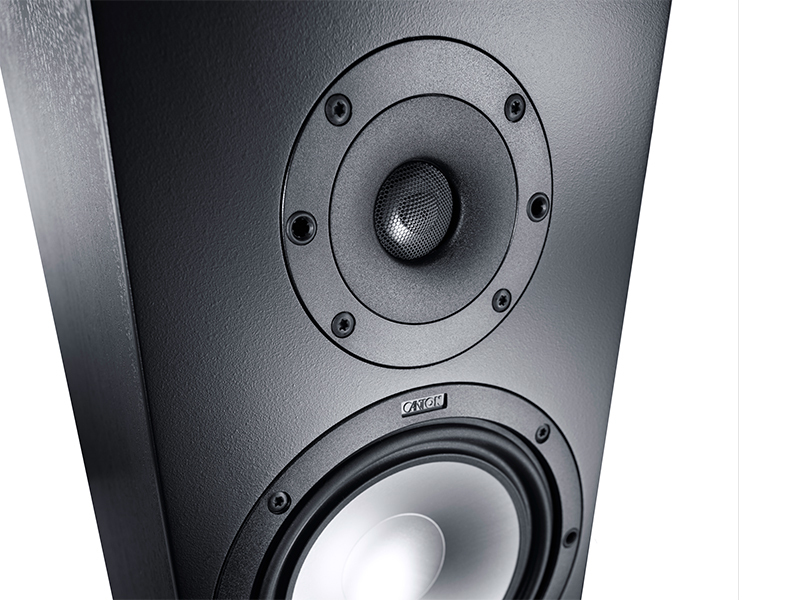 A large range of models and excellent value for money make the GLE series a versatile and attractive loudspeaker series, which always makes a good impression with its attractive design and balanced sound. The external hallmark of the GLE series is the matte lacquered, 22 mm strong baffle, which is integrated into the loudspeaker cabinet in a way that makes it look slender and elegant. A removable, acoustically neutral fabric cover rounds off the appearance and can be used to conceal the technology behind. The GLE series gets its distinctive balanced sound from high performance woofers and agile midrange speakers: The polycarbonate loudspeaker baskets are equipped with aluminium cone membranes and surrounds with the latest generation of wave technology. 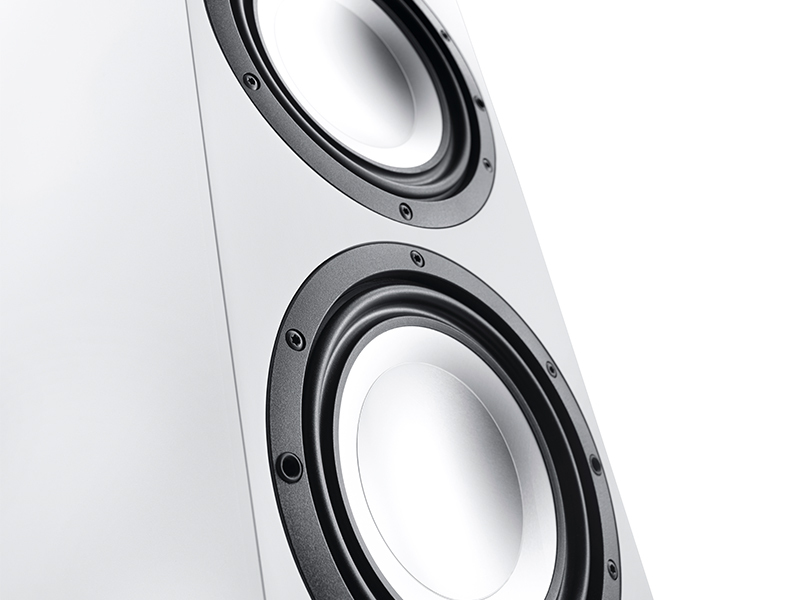 The speakers also benefit from the tried and tested aluminium-manganese tweeter system. A crossover network that works in perfect harmony with the rear-facing bass reflex opening completes the technical setup and lays the foundations for outstanding sound. The baffle is integrated in the cabinet in a way that makes it look particularly slim and elegant, despite the solid construction. Advanced technologies, the matt lacquer baffle and the different design variants make the dynamic GLE series particularly attractive. The tried and tested, high-precision aluminium-manganese tweeter system transmits music signals up to 40,000 Hz. The transmission front plate acts as a wave surround and supports the dispersion characteristics of the system. 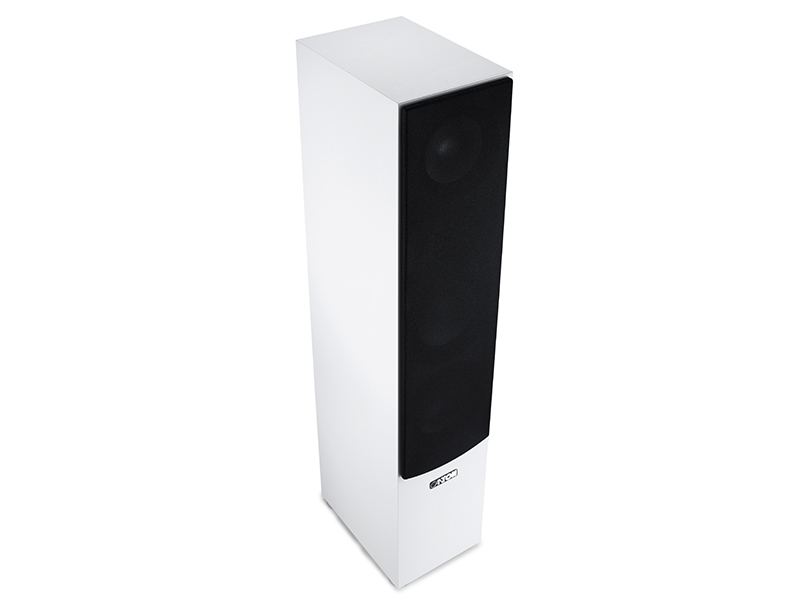 Thanks to the broad range of models and the latest technology, the popular loudspeaker series offers suitable solutions for various requirements: For music pleasure in stereo there are various floorstanding and compact loudspeakers as well as space-saving on-wall options. With a center loudspeaker and the matching subwoofer models SUB 12.4, SUB 10.4 and SUB 8.4, the GLE series can be used as a powerful home cinema system. It also includes high quality active loudspeakers: The GLE 496.2 Active BT Set with Bluetooth and HDMI interface is a genuine all-rounder for the living room and combines home cinema with stereo sound. Visually, too, the GLE series fits perfectly into its environment: With three different decor variations in its characteristic bi-colour look.